Who is the Advanced Scrambling course suitable for? The grade 1 scrambles have now got you hooked, a day with your hands in your pockets just does not do it any more. 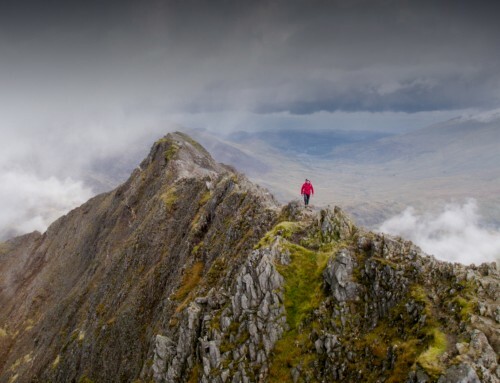 You fancy tackling some of the bigger classics such as Aonach Eagach, Tower Ridge, The Cuillin and perhaps ultimately the Alps. What you really need is an introduction to the rope techniques and route finding skills to keep you safe. The Cneifion Arete (pictured above) – A magnificent Grade 3 scramble which is often compared to an Alpine Ridge. 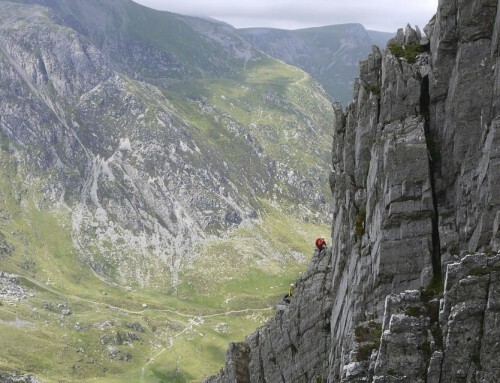 The route starts with a couple of pitches of Difficult grade climbing and then eases off to provide fantastic scrambling up a knife edge ridge. A grade 3, three star scramble. A beautiful alpine style ridge with a couple of pitches of rock climbing followed by exhilarating scrambling. The descent is normally by way of Crib Goch back down to the Llanberis Pass. Plus many, many more great routes to get you away from the crowds and onto jaw dropping terrain that would normally be the preserve of the rock climber. The course is run by Rob and Huw at a 1:2 ratio to ensure that you get the highest level of care and instruction. The advanced scrambling course provides two days out on grade 2 and 3 ground to show you what is involved at this level of scrambling and to introduce you to the technical skills required. At the end of the course you should be aware of the skills that you require to tackle your own objectives under your own steam. Rob will provide advice on how to progress those skills. If you wish to lead this grade of scramble for yourself you may like to progress onto our advanced scrambling learn to lead course. 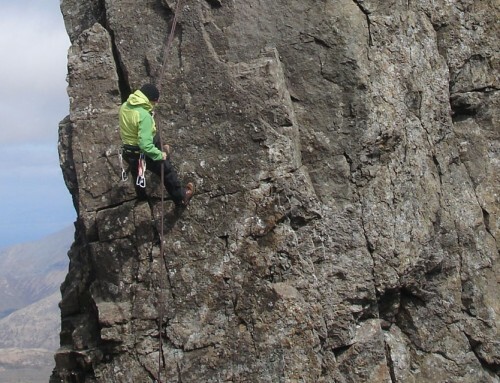 The course is great preparation if you are planning your first trip to Skye or your first summer Alpine trip. Watch the videos we have made for the BMC. We run the advanced scrambling course in Snowdonia. We have a wealth of historic mountain scrambles to choose from that are all easily accessable with relatively short walk-ins. We do not include accommodation with this course. 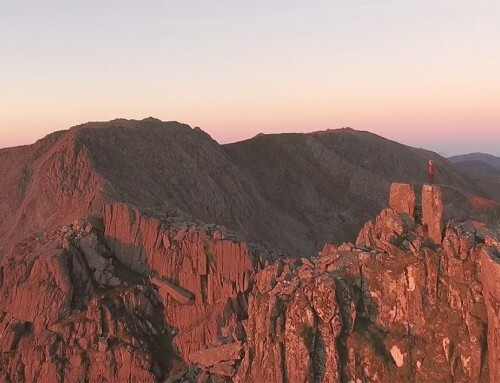 For a variety of different accommodation options in Snowdonia, from camping to nice hotels, see our link on the top right of this page. The link also shows road and rail travel options to Snowdonia. The courses are run by myself and fellow instructor Huw. We both hold I hold the MIC qualifications (the highest instructional qualification in the UK) and have many years of practical experience of working with a wide range of clients. 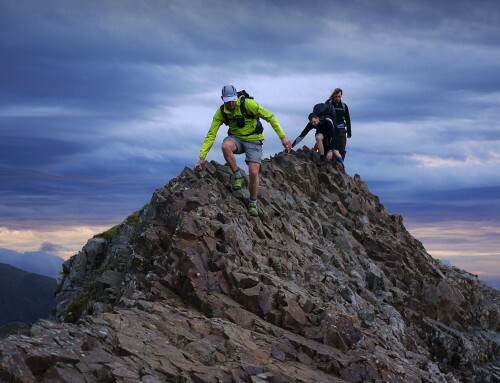 We also have a number of coaching qualifications between us and are approved providers and tutors for Mountain Training UK’s Mountain Skils and Hill Skills Awards and ML Awards. On top of that we share a firm belief in learning by doing and in having fun in the process! You can read more about our qualifications and experience here. Thanks to you and Huw for a great couple of days excellent scrambling. Stunning routes and scenery, brilliant company, informative instruction, dry rock and sunshine! Thanks again and looking forward to next months learn to lead course . Thanks for the excellent guiding, choice of routes and cracking company – exactly what I wanted and very helpful. It’s reaffirmed my love of scrambling and made me itchy to get back up there and continue my solo explorations.